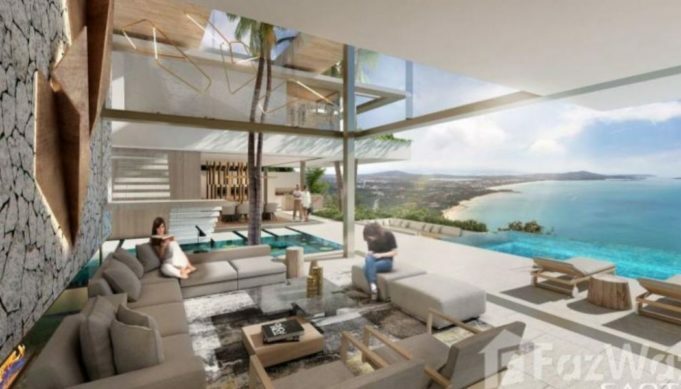 This exclusive home, to be completed in October 2019, is one of only 6 villas in The Heavens project located on Koh Samui island, in the sheltered Gulf of Thailand. While this 5 bed and 5 bath villa is in walkable distance to the famous Lad Koh Viewpoint, the views from the villa itself are even better. Chaweng beach, the city, and the neighboring island of Koh Phangan are all visible, (reachable in 20 minutes by speedboat if you want to check out the Fullmoon party or Half-moon parties), there is also an observatory and telescope onsite available for use by residents. Living in one of Asia’s biggest cities, condo life can be great, but some would rather have their own private homes in Bangkok. With homes like this, it’s easy to see why. 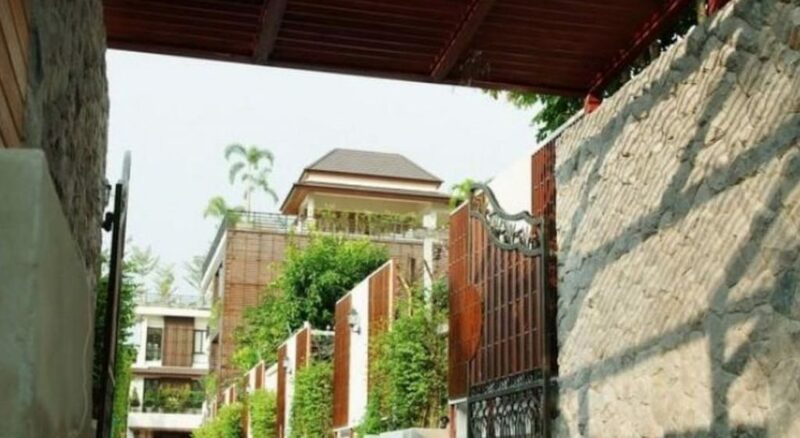 This spacious and sunny villa is located near several prestigious Thai, and international schools in quiet Asok; a neighborhood popular with tourists for its easy accessibility, shopping, restaurants, and nightlife. Big enough for friends and family to stay with 8 bedrooms and 9 bathrooms, this villa is in convenient walking distance to both the skytrain as well as the subway – but still has its own parking if you would rather drive around the city. But you might not want to leave at all, with your own private pool, gym, garden, and full kitchen. If you’ve ever wanted to live in Thailand, or have a tropical island vacation, The Cape Residences is a great place to enjoy a luxurious holiday. 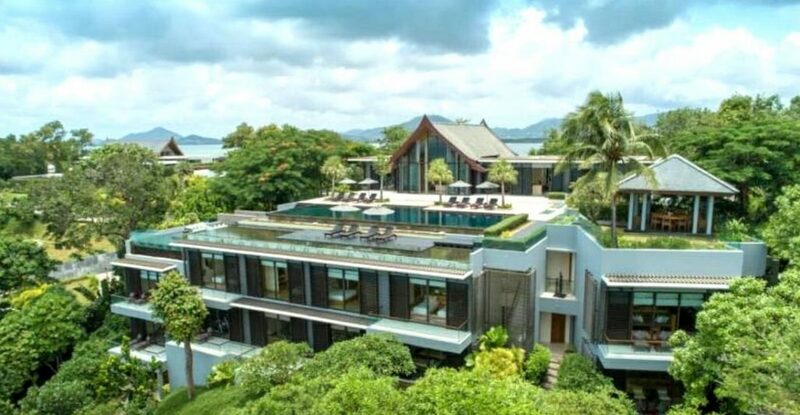 It is set on a quiet and exclusive wooded peninsula with view of Phang Nga Bay and its famous natural skyscrapers, the limestone islands that dot the sea. The project was designed by architect Jean-Michel Gathy, who has worked for some of the region’s most famous luxury hotel brands like Banyan Tree and The Mandarin. He’s now lent his talents to this collection of elegant private residences that include 24 hour security, tennis courts, steam rooms, private pools, as well as access to a world class spa and restaurant. 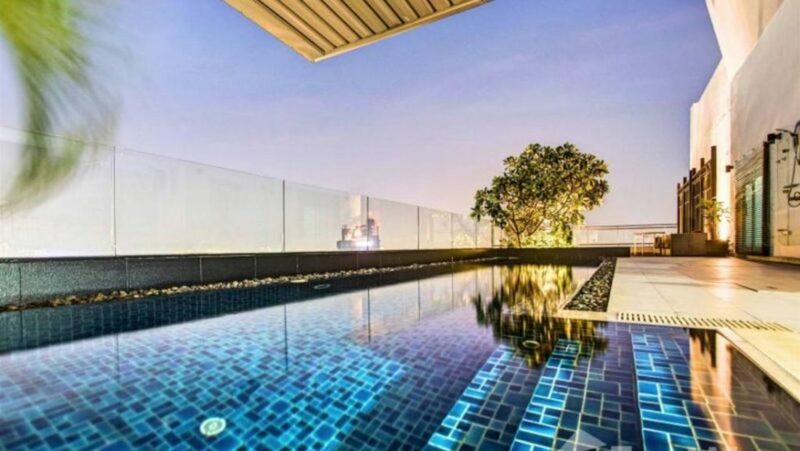 This 5 bedroom penthouse condo in Pattaya is far from the usual expectations of condo life in Asia. With a private pool and private gym, views of the city, the sea, and mountains, it’s easy to forget that you’re living in a condo in this 29th floor duplex – especially with almost 1000 square meters to relax in after walking back from the beach or Pattaya’s nighttime entertainment. This home in the Palm Hills Golf Club and Residence is the perfect golf getaway for someone who wants the peace and quiet of living outside Thailand’s major cities, while still being able to enjoy a world class golf course and western amenities. After finishing a round among the palm trees dotting the property and taking in panoramic views of mountain ranges surrounding the resort, there is a private pool, jacuzzi, sauna, and clubhouse available before having a relaxing meal at the onsite restaurant. Slightly less expensive than similar homes in Bangkok or Pattaya, this could be a great retirement home in Thailand, a holiday timeshare, or rental opportunity in Hua Hin. It might not be for everyone, but walking into this house in Chiang Mai, will feel like walking into your own mini Palace of Versailles. Full of bright and wide open rooms, the 2,200 square meter home is covered in hardwood floors and marble tile, with some recessed and high ceilings – making it easy to keep cool in this tropical country. The classical theme includes spiral staircases, and even some Doric and Corinthian style columns. Despite the classic look, it’s not without modern conveniences like a jacuzzi. Removed from the touristy areas and located in the quiet north eastern section of Koh Samui island, Laem Yai, this house is still just a short motorbike ride away from the busy Chaweng beach or Lamai beach. The two story, three bedroom house is one of just fourteen in the Estates Samui development. It includes two onsite restaurants serving both international and Thai food, a spa and health club, yoga pavilion, tennis (with lights for nighttime matches), golf, as well as beach and water sports. 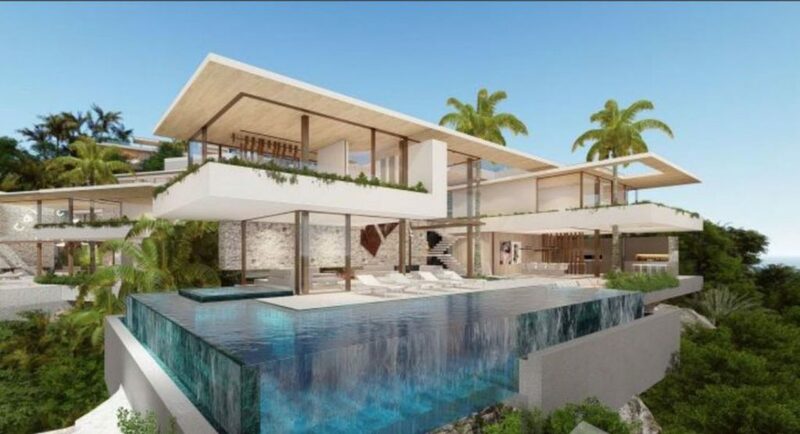 The villas feature an unobstructed panoramic view of the ocean with floor to ceiling glass, and master bedrooms include their own private pools. Koh Samui seems to be a favorite for builders and developers, as there’s no shortage of luxury vacation rentals and dream homes. This three floor, eleven bedroom villa is no exception. Bophut is quaint fishing village, but closer to Chaweng than Laem Yai. 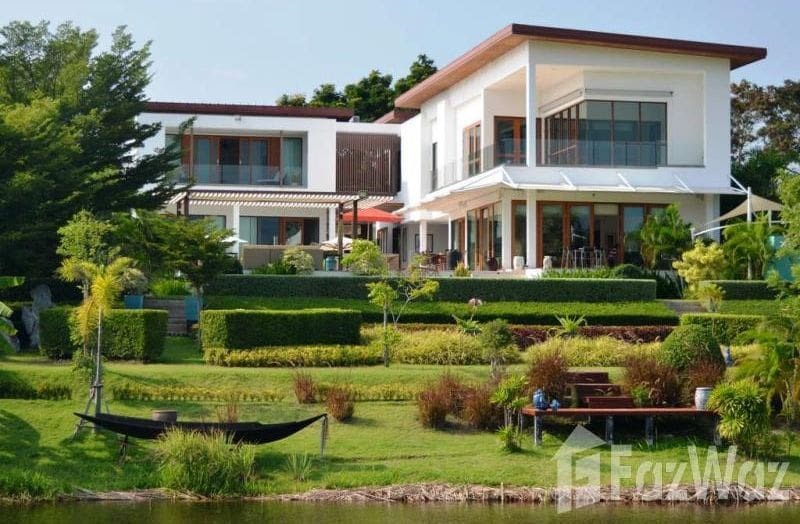 The property makes great use of the natural landscape by nestling itself into the rising mountains and giving a great view of the surrounding mountains and jungle as well as the Gulf of Thailand. When not taking in the sights, one can relax in the private pool or garden, or lounge out in the sun deck. While Koh Samui has countless options for luxurious island getaways, Phuket is easily one of its biggest rivals. One great example of what a holiday home in Phuket has to offer is this three floor, six bedroom villa in the Ayara Surin development, which has only 21 other units. The infinity saltwater pool looks out to the Andaman Sea, and after swimming there’s a jacuzzi, spa, and bar available to really enjoy your holiday. All this, and still just a walk to Surin beach. While some Bangkok residents are relegated to living in thirty square meter apartments, there are still opportunities to enjoy spacious dream homes. In Bangkok, there are plenty of private homes if you’re looking for an alternative to condos. This five bedroom house in Sukhumvit, includes a massive garden surrounded by privacy walls, its own pool, balcony and terrace, and a full western kitchen. Covered parking is included, but it’s also a short ride to the subway. This post originally appeared on The Thaiger News.